When I was 12 1/2 - 14 1/2 we went back to the States for another 2 years of raising support. But on the way we stopped in England for two weeks. It was like being in a dream, all the story atmosphere I had sucked out of books come true, better than true - staying in people's homes. At one cozy English house full of children, I discovered The Famous Five and was devouring them as fast as possible when someone told my Dad the books might have some disrespect in them. Never got a chance to read them again. At one home we went to stay at, someone handed me The Fellowship of the Ring, I was still reading it when they took us out somewhere that night; as we drove home in the car I was holding up the book to read by the headlights of the cars behind us, my heart pounding as the ringwraiths chased Frodo. In fact, I was grounded from reading for a week because I was reading it instead of doing my homework. That week was excruciating without a book, especially because it was our last week in England. But, as soon as I got to a Florida library I checked out the other two books, The Two Towers 魔 戒 2, and The Return of the King 魔 戒 3, and read the whole set to my mom, following her around the house as usual while she washed dishes and cooked. Down in Florida at my paternal gramma's, I checked out the engrossing Les Miserables 悲 慘 世 界 [e-book]for the first time. 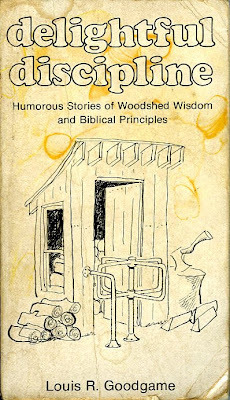 My favorite funny short story of her's: Why I Live at the P.O. In Tennessee we stayed at the Roy Acuff Inn as usual with the goats on the hillside, walking to Shoney's for meals, and talking with Miss Betty, one of the ladies who worked in the hotel. Then the three of us kids came down with strep and took fever baths for a month, and ate the most delicious garlic beef stew cooked in a crockpot every day. I lost most of my tonsils, during which time we visited the Polks in Dechard, Tennesee to try antibiotics and I was amazed to find a preacher's family that loved Victoria Holt (and cats) as much as I did. The two times we visited them were much too short. I barely got to borrow one book from them. Next, we stayed with my maternal great-uncle and great-aunt, Mr. and Mrs. Bob Atnip, in Jasper, Tennessee, he a former geneticist and she a schoolteacher, and their house was full of books and the most soothing quiet. When I finally checked it out at the very next library, along with George Orwell's 1984, I thought they were both boring and horribly depressing. However, many years later I was happily surprised by the movie version of Brave New World starring Peter Gallagher. (Warning: Must highly edit because most of the story is about the emptiness of the promiscuity of the future.) It has a great ending because they didn't quite change the story but they did extend it a tiny bit. We also took a long walk in the mountains my maternal grandfather Charles Atnip roamed as a boy. I was baptized in the Kimball Church of Christ building, with my maternal grampa's father and mother looking on. Then I spent a whole month with my maternal Gramma and Grampa in St. Mary's, Georgia, a sea marsh city smelling of hot damp and the paper factory. Even though their house had almost no books, except about my Grampa's hobbies and manuscripts of snakes and genealogy, my gramma took me to the library and I constantly played "Love is Blue" and "A Time For Us" on the old piano until my cousin Keri came to stay the rest of the month with us, and our serendipitous Gramma would often just up and drive us to the library, or shopping, or swimming (at Elaine Warren's mostly deserted community swimming pool - we didn't mix-swim), and the last week sewed dresses for us. I read her the whole Narnia series and we just barely finished on the last day, hours before Gramma had to drive me down to Jacksonville to rejoin my parents. The one book that entranced me during my stay in St. Mary's was the The Light Princess by George Macdonald. [e-book] I so loved the last illustration in the book I colored a copy of it for the fridge. Have not been able to find a copy of that illustration anywhere on the web. 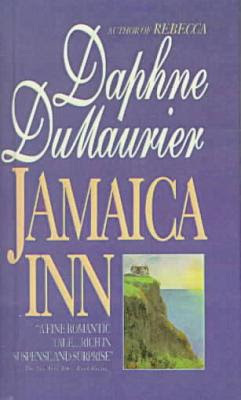 Or Jamaica Inn 牙 買 加 旅 館 by Daphne DuMaurier. I also read alot of Victoria Holt, but we won't get into that. Or The Unexpected Mrs Pollifax, about a little old American lady traipsing around in foreign cultures and dangerous situations. Or where I read O. Henry's short stories. He wrote 400 of them. At some point we went out to Texas and stayed with the Broughs who lived in an amazing split level house on a golf course. Sister Brough would go out in the misty sunrise and cut roses from the garden to put around the house, and eat breakfast in front of the picture window with the sunlight slanting in, and she and her husband often walked the dirt trails around the golf course every morning. We kids slept in bunk beds on the bottom level and brother Brough would be up at four every morning watching the news in the den. I'd wake up to that homey sound and the smell of coffee and whatever Reader's Digest Condensed Book I was working through. Reader's Digest Condensed Books are not Reader's Digests but edited versions of bestsellers. Reader's Digest's philosophy was that they were not so much abridging a book, as editing out the filler and tightening the book, making it even better so to speak, and these were definitely not "easy-to-read" versions. 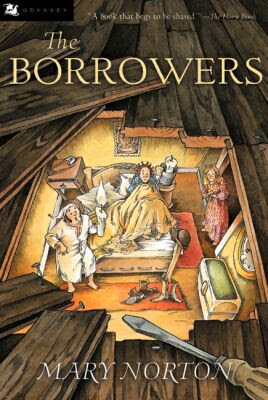 I loved them, and had always read them in whatever house I found them, it's just that the Broughs had an entire wall-to-wall shelf of them up near the ceiling. I think I only got through a fourth. Two other RDCB novels I loved and read to my parents, were Richard Powell's Don Quixote, U.S.A, (about a "Forest Gump" American in South America) and Pioneer, Go Home! (same type of humor) about a welfare family who ends up stranded on the side of the highway and turns out, well, not so welfarish after all, and a thorn in the side of the government. Read some Amazon reviews here. I wish I had all the Reader's Digest Condensed Books in the world ... but in e-book form, so I could keep only my favorites. In Texas, we also stayed with the Tamarrow's in their HUGE house and I read Firestarter by Stephen King (and the Silmarillion). The people next door had the entire Hardy Boys set but my Dad had gotten it into his head temporarily that I shouldn't read mysteries. They also had MAD magazine which I thought looked extremely interesting so maybe it's a good thing I never got back over there. We stayed for a month with the Burglunds in Coraopolis near Pittsburgh, unforgettable because Pennsylvania was very unlike the south and more like New England. You had to go up some stairs up a hill from the sidewalk to get to the front door of their house, which was cozy wood with orange carpet and creaky stairs leading up to tiny rooms, and hamsters in the basement, and a garden outside and wonderful homemade vinegars inside and mountains in the back that my mom took us hiking through, and they brought home tubs of books from the library, and took us to the ethnic markets in Pittsburgh, and to see the Nationality Rooms in the University of Pittsburgh, each room decorated by a different nationality (the Italians, French, Polish, etc) - great majestic rooms with King-Arthur-like tables in them. In the book, whoever wanted could go into this room and sit in front of a curtained alcove talking about their lives, whatever bothered them. When the person was ready to go, he/she could pull the curtain aside and see what was behind it. There was a growing excitement as I recognized in the stories almost every good concept I'd read about. Taylor Caldwell also wrote this article, but you should really read this one first (not by Taylor Caldwell). Vermont was also another world. We went when the leaves were turning and I read the original Peter Pan 皮特潘 with my favorite Trina Schart Hyman illustrations. [e-book and audio]. 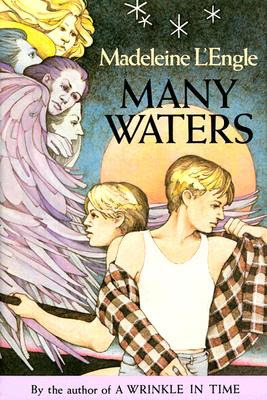 Also got Madeleine L'Engle's Many Waters at the same Putney, Vermont library. 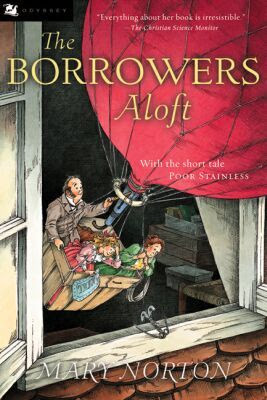 We were staying at Phylis Stromberg's up on the hill next to the woods and I would read out under the tree or up in the attic. We went for a walk in New England mountains (with leaves and open space between the trees) and heard an eagle in the valley. When it started to snow the last day we were to leave, I ran in my shirt sleeves through the freezing air to return the library books because everything was beautiful and I was so happy. The Scarlet Pimpernel 紅花俠 [e-book] was another of those unforgettable surprise reads, visiting someone's home for a few hours never expecting to pick up a book like this.